Colt Minibus Hire is a minibus hire with driver company in Essex that provides the very best luxury minibuses with drivers for hire. It is a company that supplies luxury minibuses such as the Mercedes Sprinter which is a minibus with a very spacious interiors and it has a lot of space overhead to help you store your luggage safely and easily. It is also a minibus that has leather reclining seats and is air conditioned as well as carpeted. Colt Minibus Hire is an Essex based company that supplies minibuses with drivers on rent for a very affordable price. 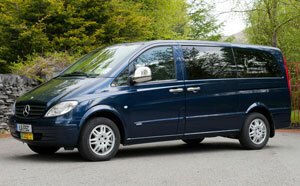 Its minibuses are very comfortable, have panoramic tinted windows as well as excellent interior lighting. Each minibus will be driven by professional and courteous drivers. Colt Minibus Hire is an Essex based company that you can rely upon to get you to your destination on time. Whether you wish to go to a sporting event or to the theatre or to a wedding, this is the right minibus hire with driver Essex for you. If you want to contact this minibus hire with driver company in Essex, you can pay a visit to their office at 21 Nevern Road, Rayleigh Essex SS6 7PD or you can also contact the company on the phone by dialling either 01268 773 553 or 07973 460570. Goldline Executive Travel is another minibus hire with driver company in Essex that has earned a reputation for its outstanding services. This is a company that has been providing high quality service since the year 1969 and has many clients in East and West and North as well as South London and in numerous locations throughout England as well as the UK. The company also rents out its minibuses with drivers at costs that are low enough to suit the needs of people that are on a very tight budget. The company owns a variety of minibuses including those that are able to accommodate eight as well as seventeen passengers. This is a company that rents out luxury minibuses that are driven by its drivers that are fully licensed as well as insured. To contact this minibus hire with driver company in Essex you can use their online enquiry form or you can visit their office at 22 Church Lane, Leytonstone London E11 1HG. Alternatively, you can also call them on the phone by dialling 020 8478 7776. If you like, you can also contact this company by sending it an email.